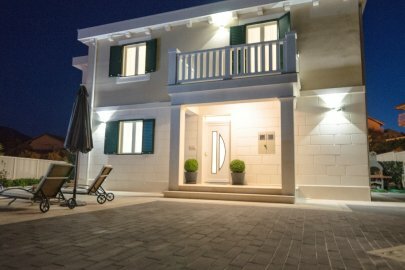 Modern and elegant villa Belezza 2 is the perfect spot for those who are looking for a relaxed beach escape. 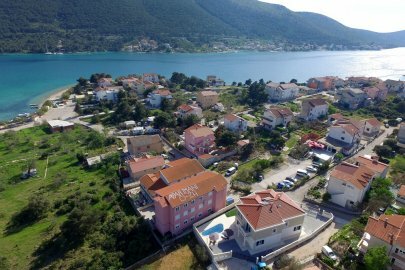 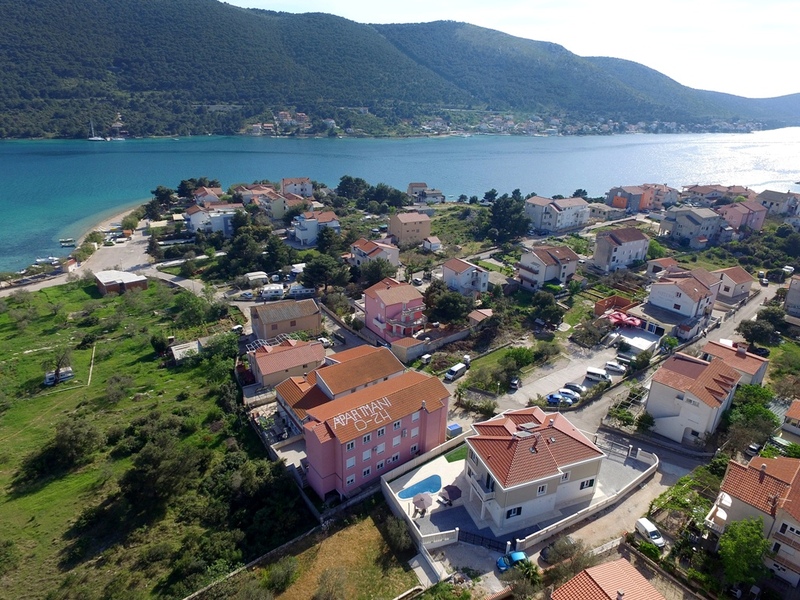 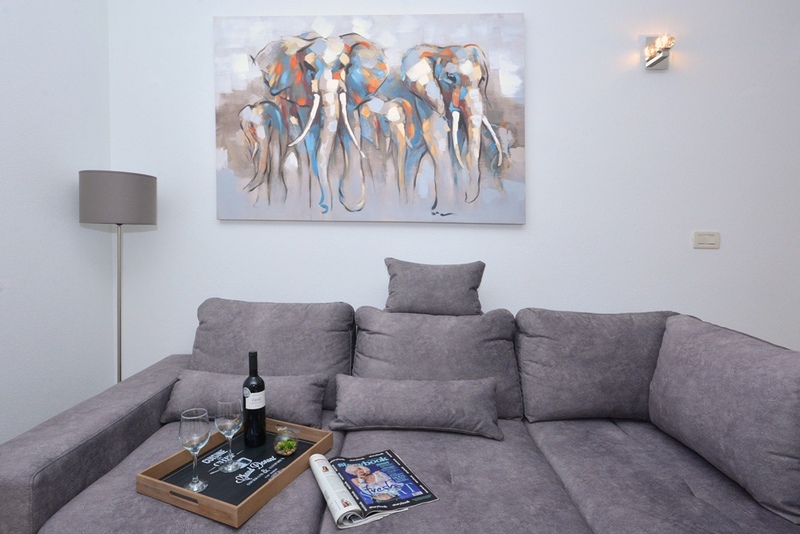 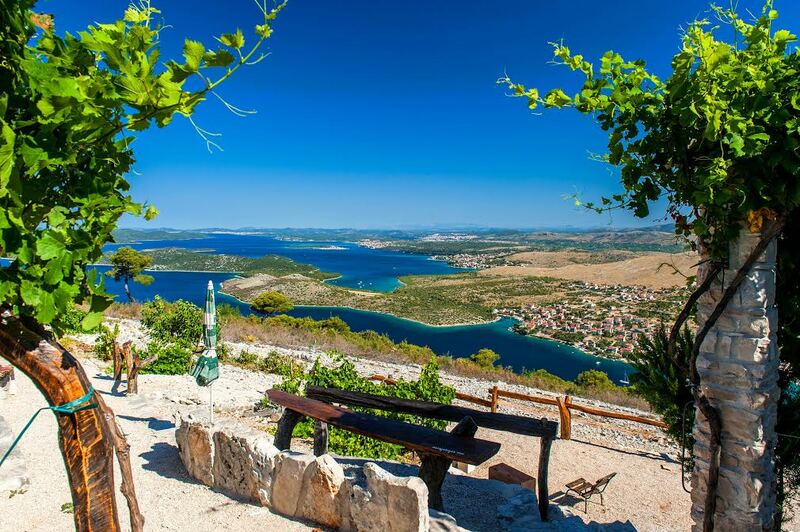 With her sister villa Belezza 1, it is located just 120 meters from the beach in the small village of Grebaštica, a tourist destination between the cities of Šibenik and Primošten. 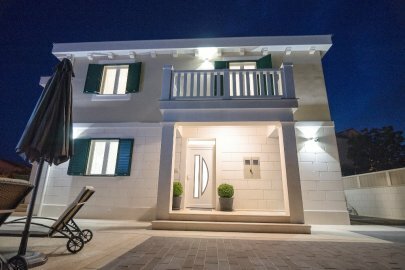 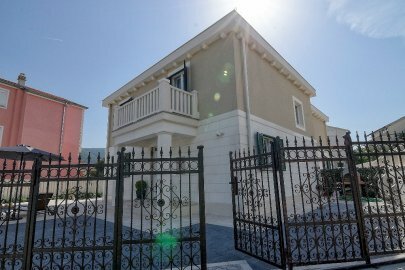 The brand new villa has been beautifully designed and can comfortably accommodate up to 8 guests across four spacious bedrooms. 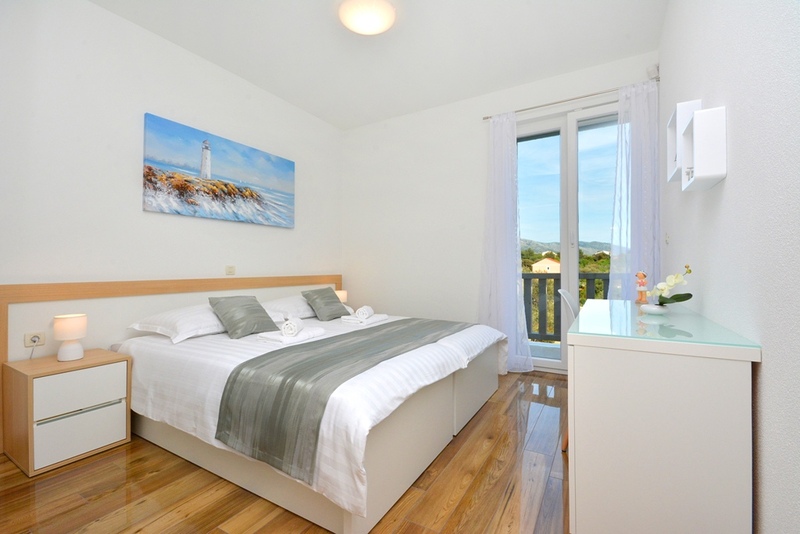 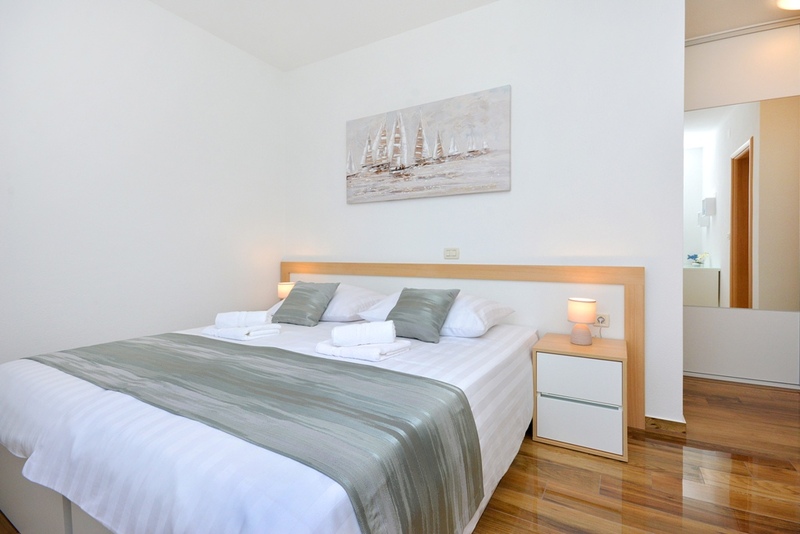 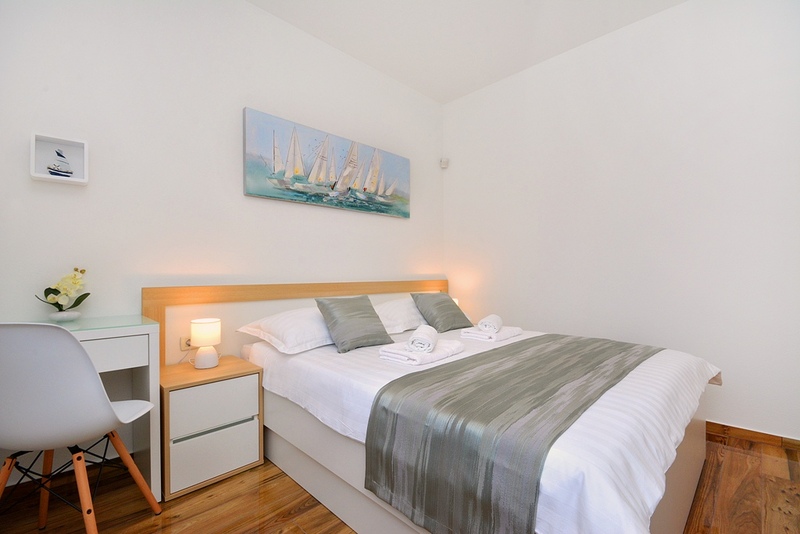 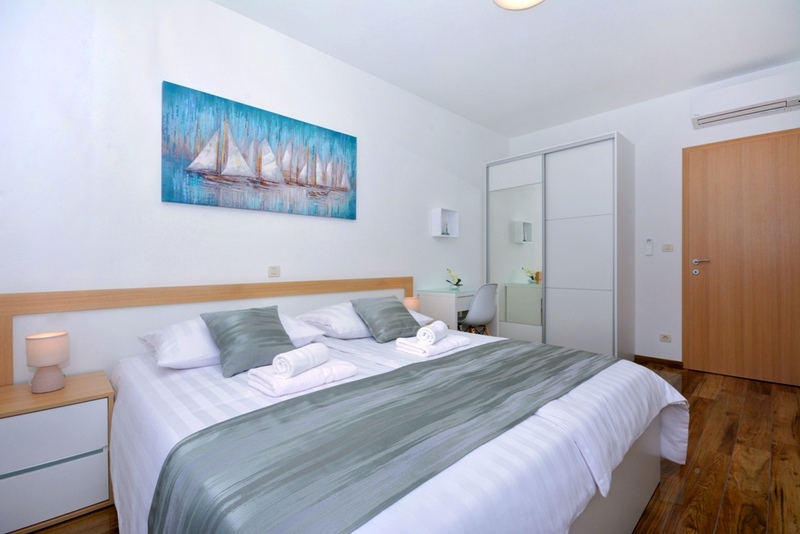 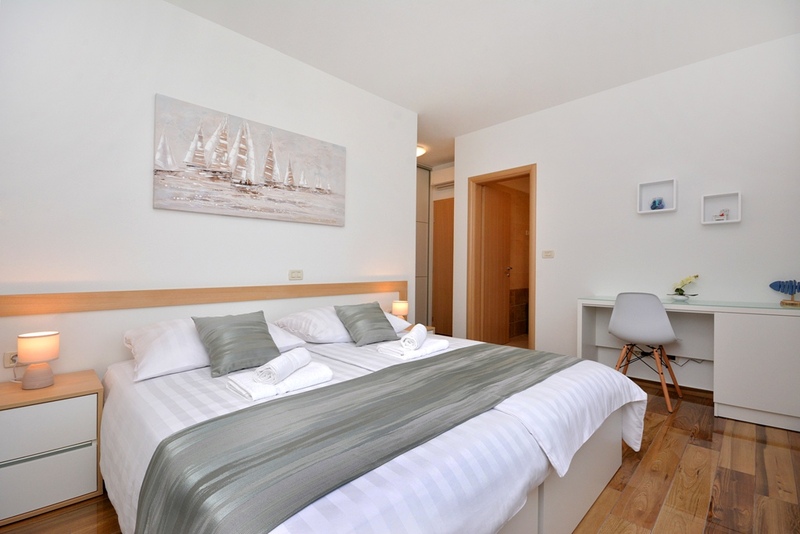 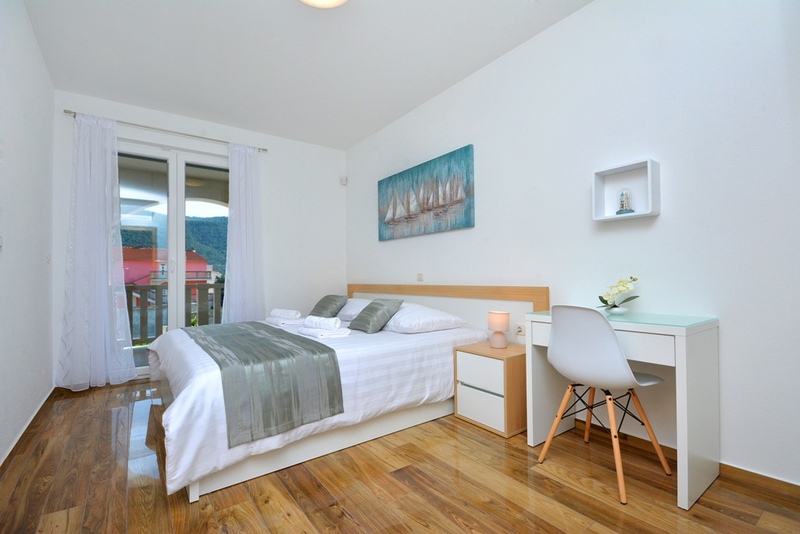 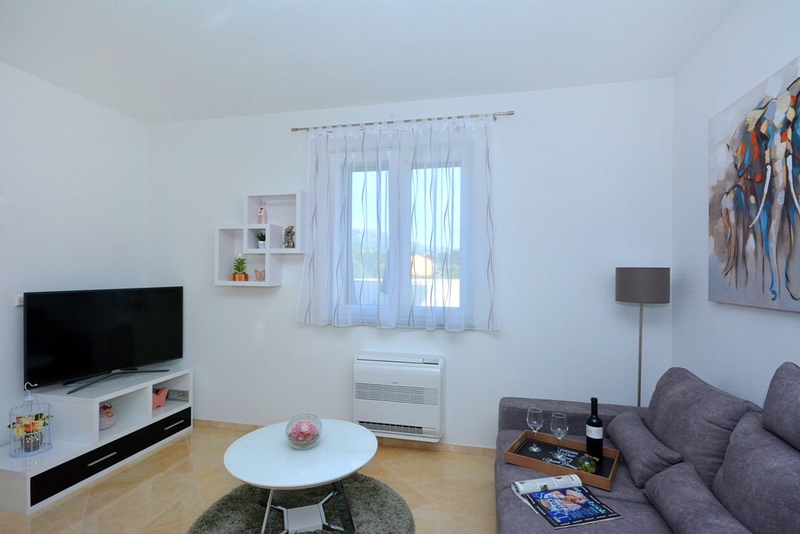 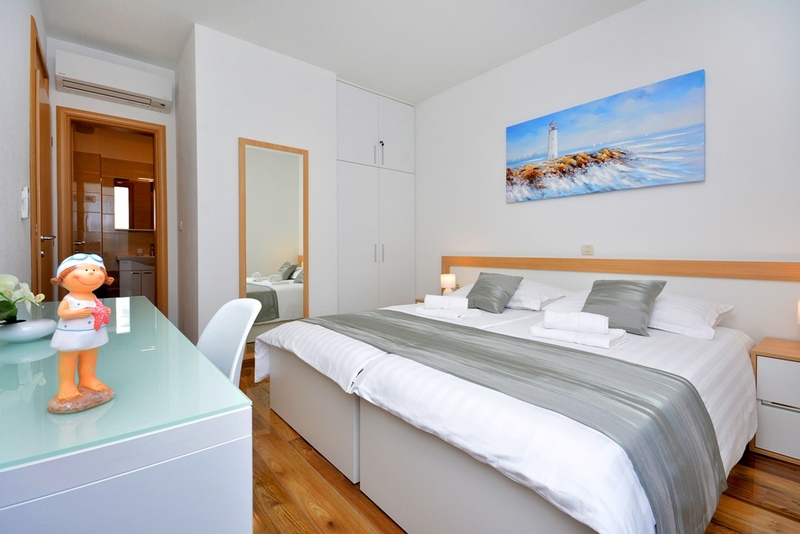 All rooms are air-conditioned, well proportioned, light and welcoming and a cot is also available on request. 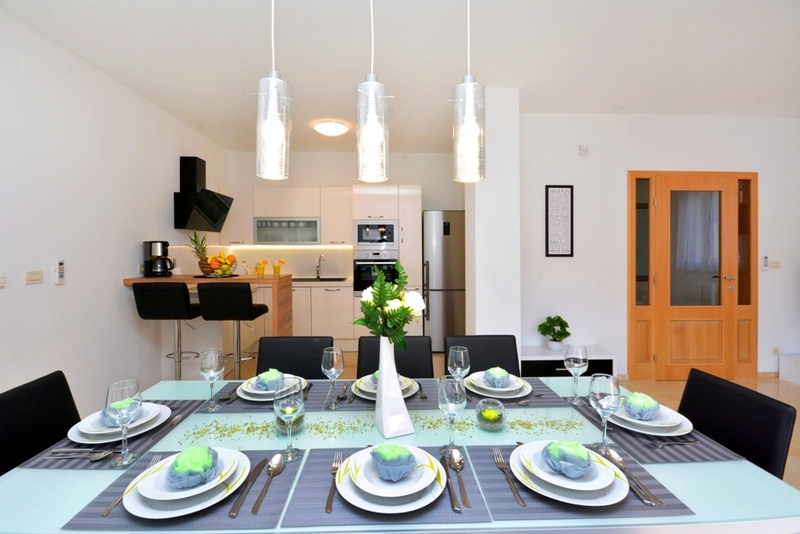 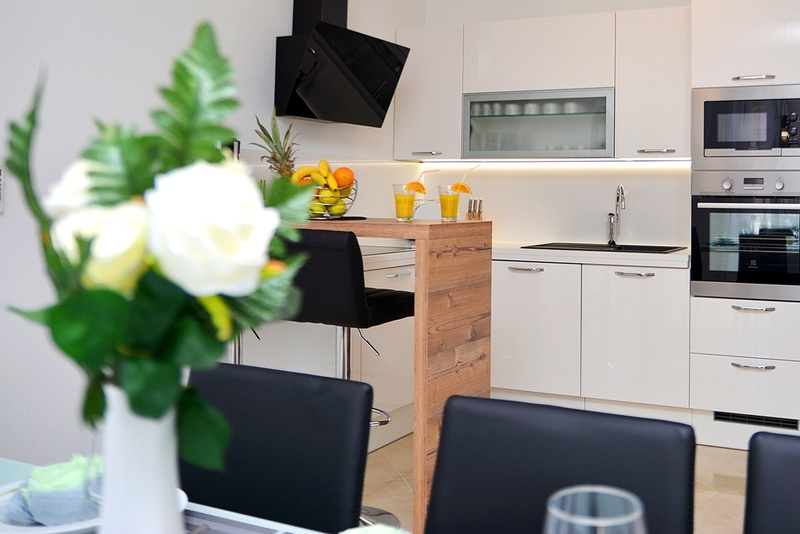 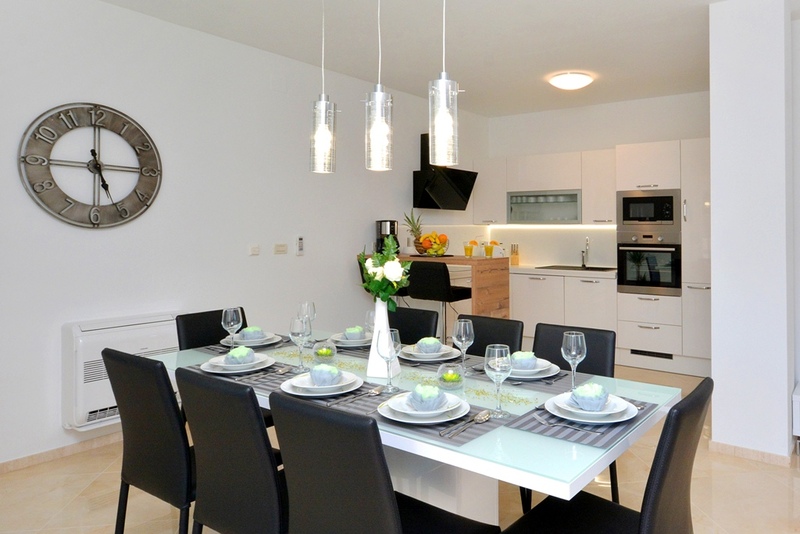 The beautiful interior immediately welcomes you with a delightful sense of style, care and attention to details. 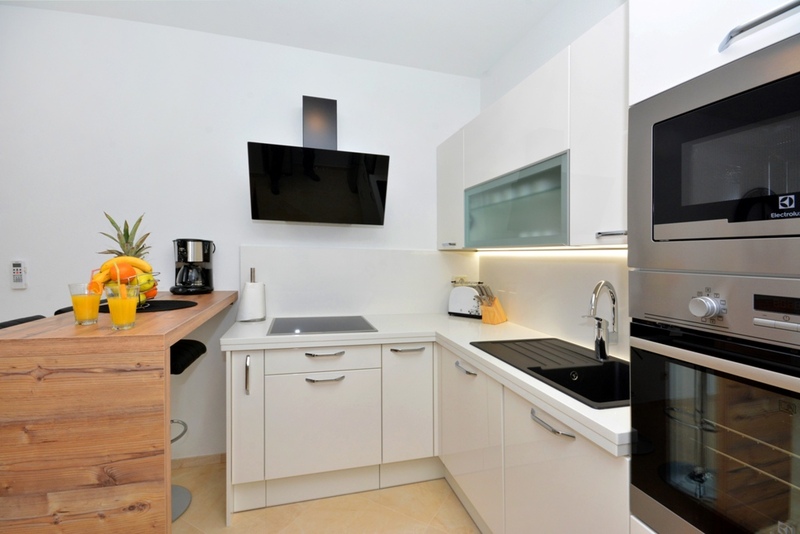 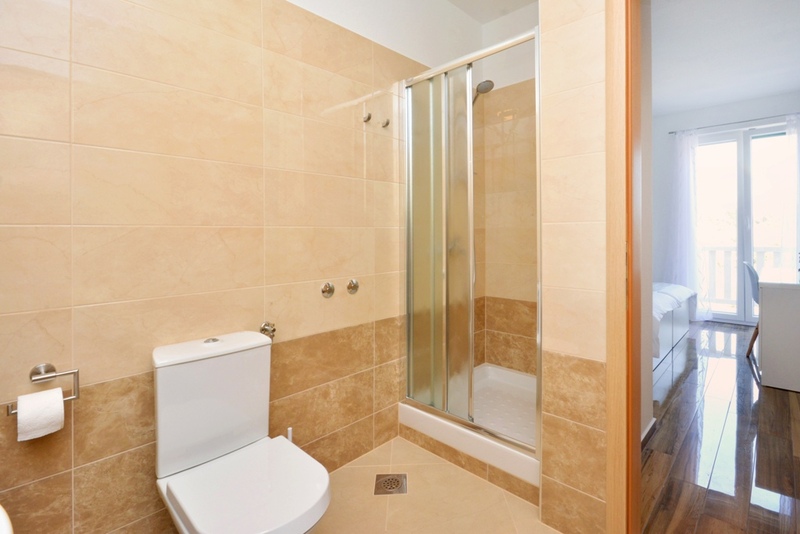 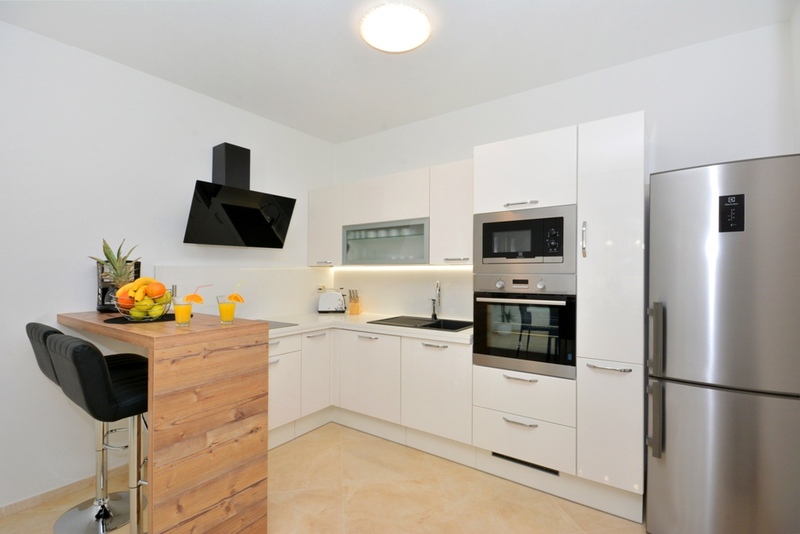 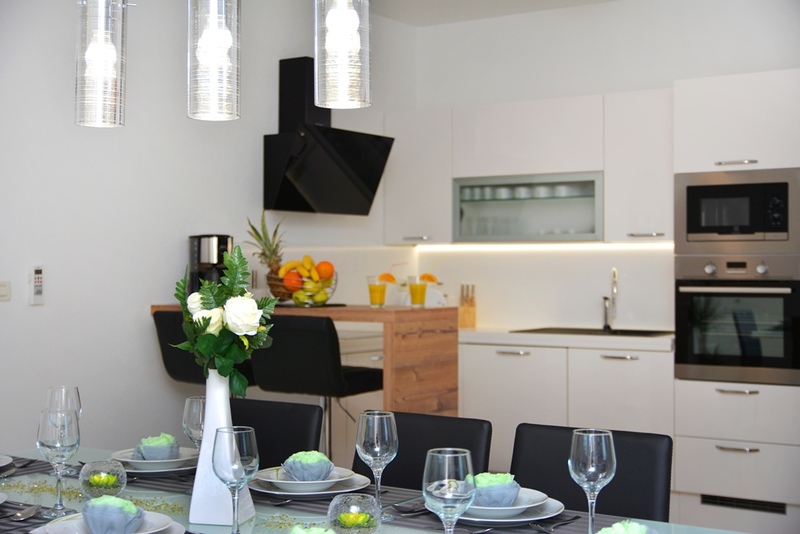 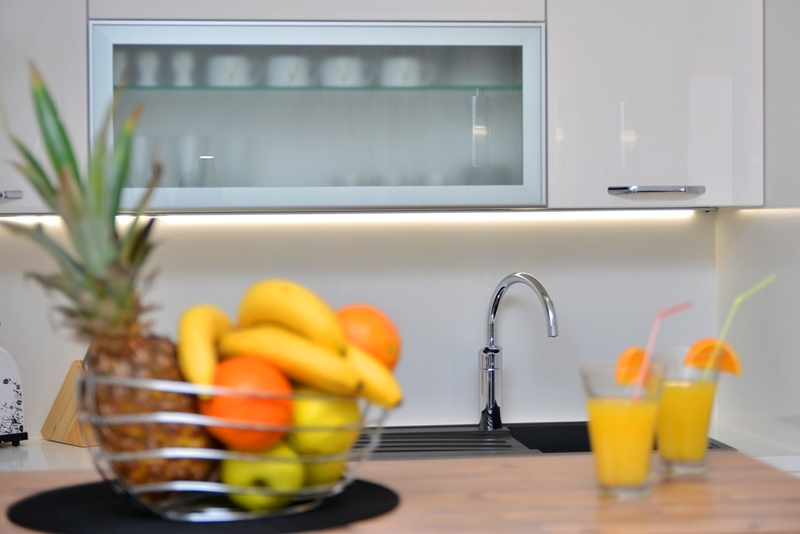 On the ground floor there is the main open-plan living accommodation, comprising of a living area, modern fitted kitchen with dining facilities and one bedroom with shared bathroom. 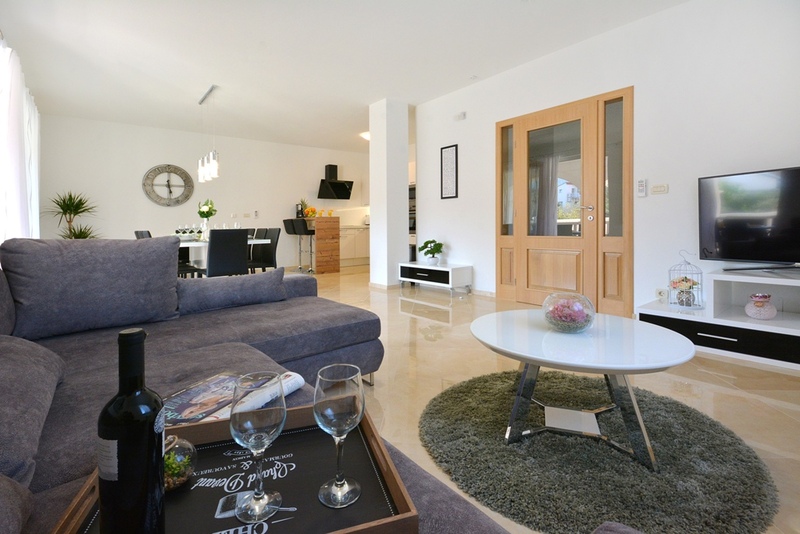 The comfortably furnished and open-plan living room leads out to the covered terrace area with comfortable seating, table and chairs for dining and it directly overlooks the outdoor swimming pool. 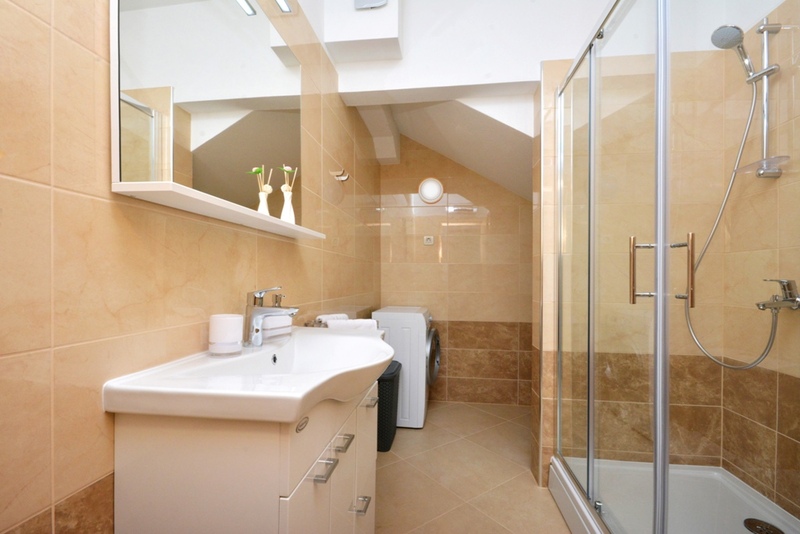 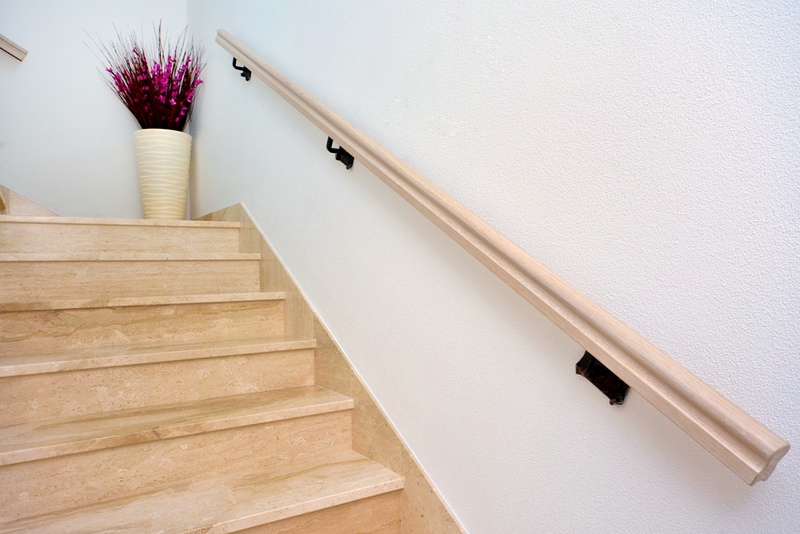 Heading upstairs, guests will find three comfortable bedrooms which come with en-suite bathrooms and an access to a private balcony from which the guests can enjoy the surrounding area. 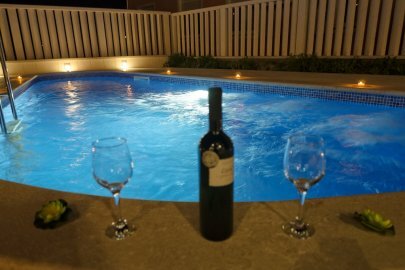 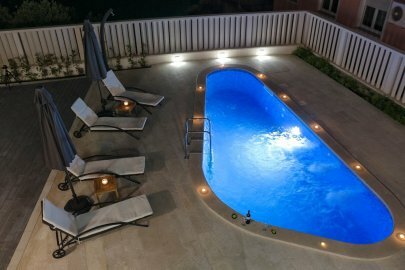 At the outside guests can prepare local delicacies on the barbecue and dine on the covered dining terrace or enjoy and relax next to the private swimming pool. 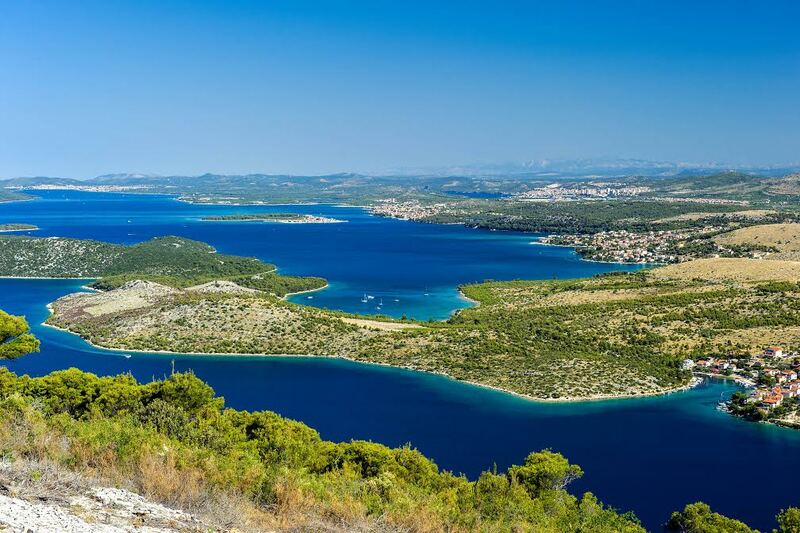 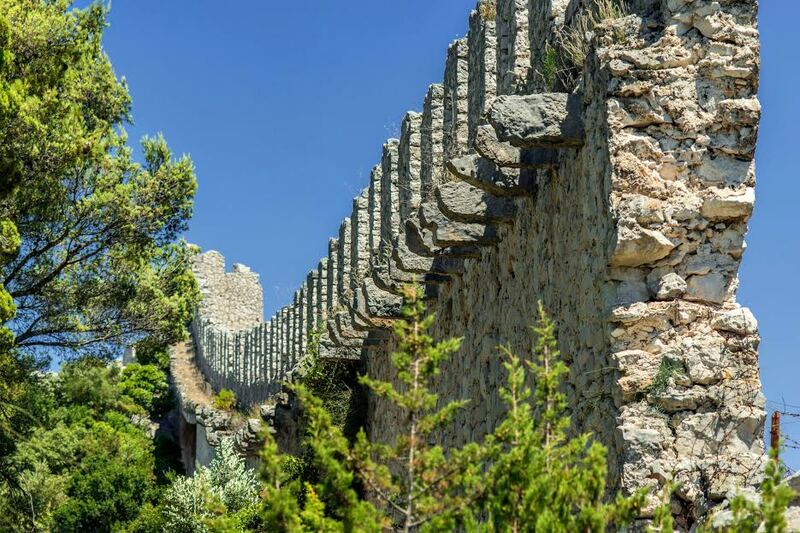 Although beaches, shops and few small restaurants are just few minutes away, many cultural attractions are worth exploring like the historical sights of the city of Šibenik, Trogir, Primoštenand Krka and Kornati National Park. 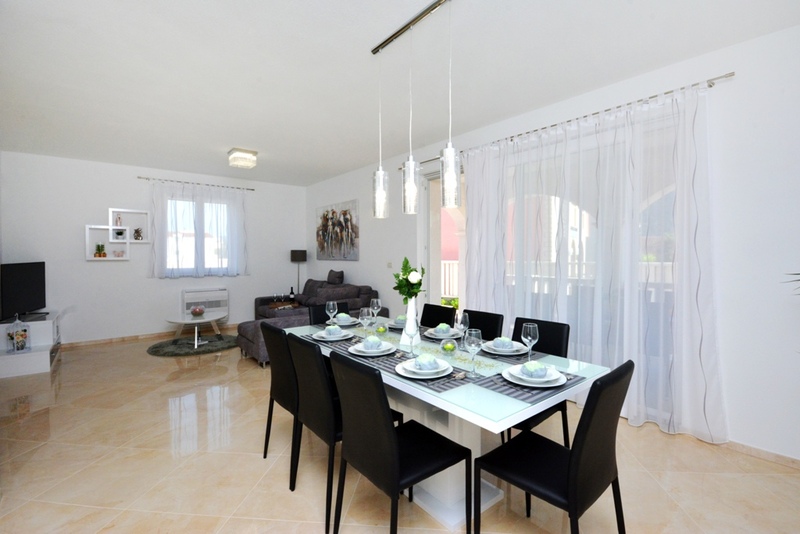 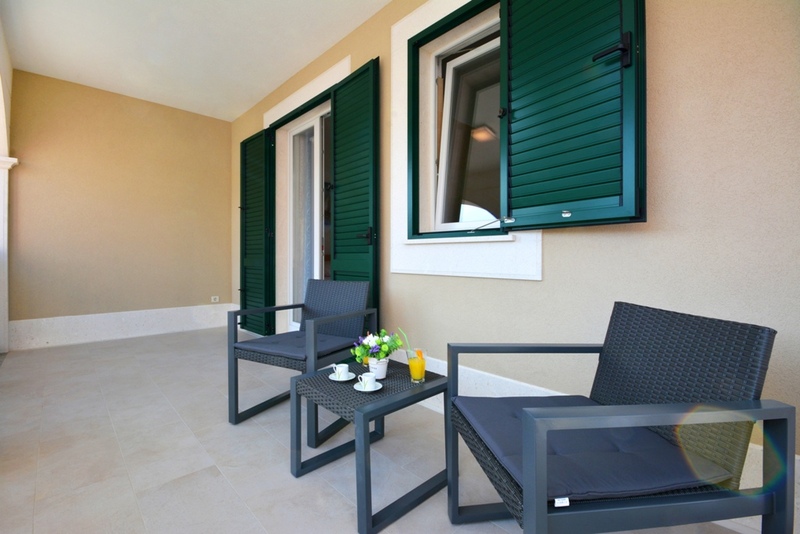 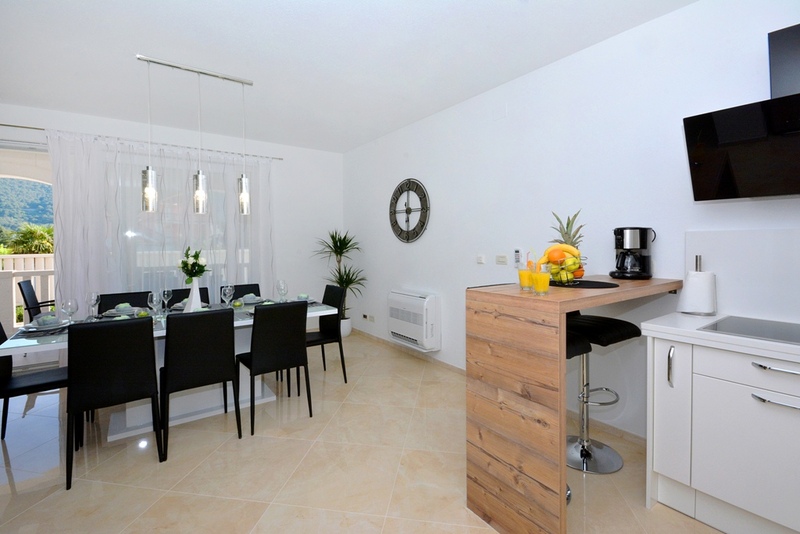 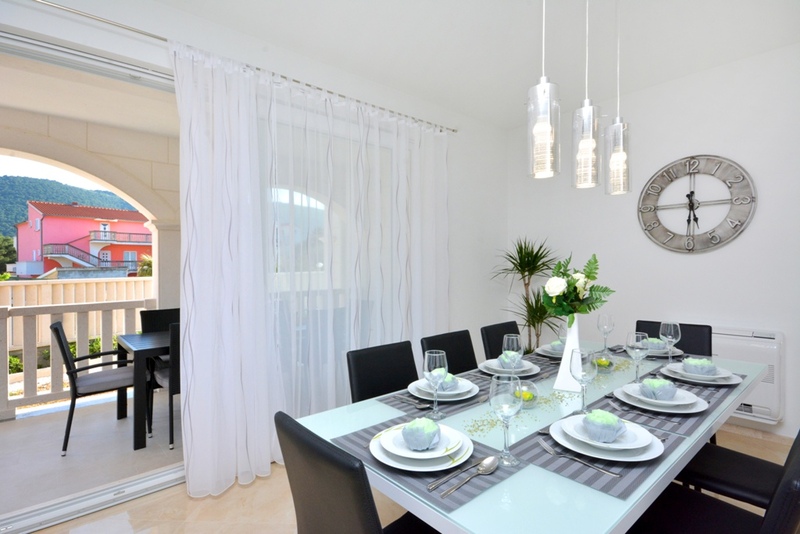 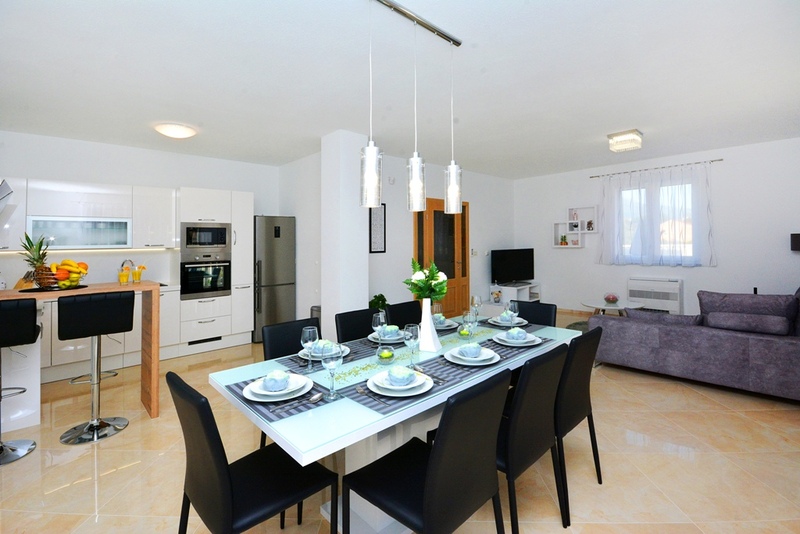 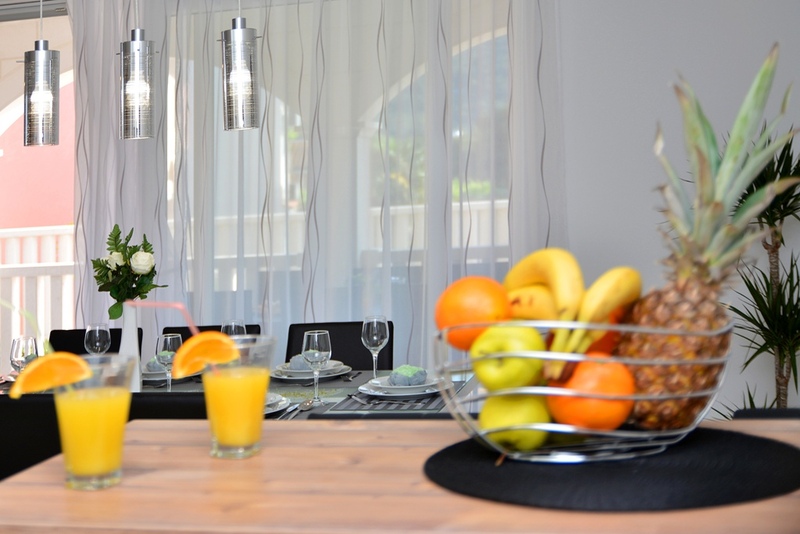 The advantage of the villas Bellezza 1 and Bellezza 2 is that guests can rent them together for families and friends!